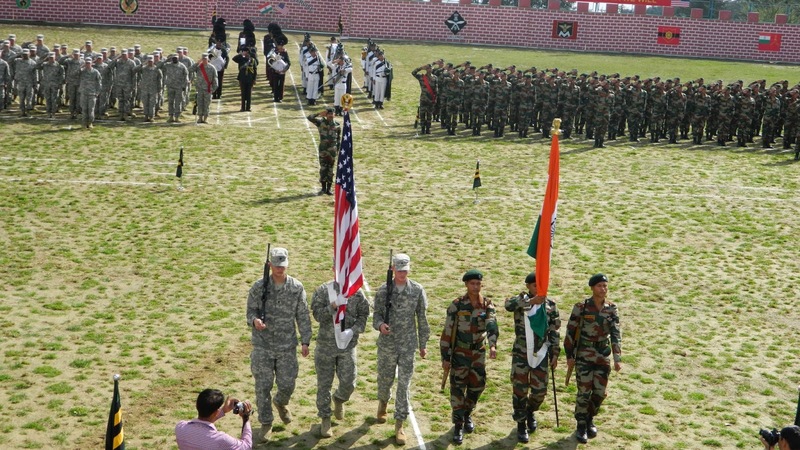 The combined Indo-US Military Training, Exercise YUDH ABHYAS 2014 commenced at Chaubattia, Uttarakhand with an opening ceremony on 17 Sep 14. The US Contingent was represented by Company and Brigade Headquarters from an Infantry Division of US Army while Indian side was represented by an equivalent strength from a Mountain Brigade of GARUD DIVISION. 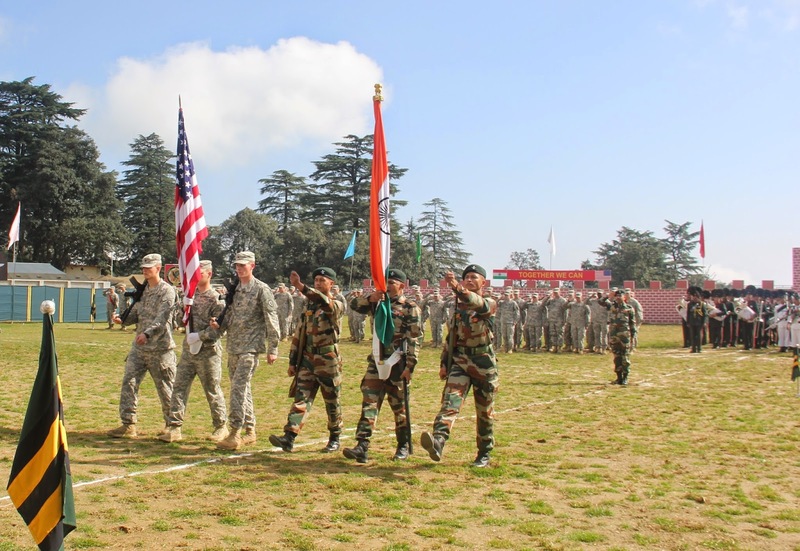 Maj Gen Ashwani Kumar of Headquarters Central Command welcomed the US soldiers and urged both contingents to achieve optimum cohesion and interoperability to achieve military objectives of the exercise. He stressed upon importance of free exchange of ideas and concepts between the troops and the necessity to learn from each others’ experiences. The focus of the ongoing exercise is to carryout Counter Insurgency and Counter Terrorist Operations in mountainous terrain under United Nations (UN) Charter. The two week long event will see the contingents hone their tactical and technical skills in countering insurgency and terrorism in UN Peace Keeping scenario involving a Brigade Headquarters, an Infantry Company and a detachment of Special Forces. State of the art equipment for surveillance and tracking, specialist weapons for close quarter battle with terrorists, explosives and IED detectors, as well as the latest communication equipment are being fielded by both sides. Both sides will train, plan and execute a series of well developed combined tactical drills for neutralization of likely threats that may be encountered in UN peace keeping operations.